Despite his youthful appearance, McKinstry has experienced much more than the average coach his age. His career has gone from strength to strength, starting in Northern Ireland and England, then via America to West Africa eventually. That career started to take form during his years studying sports science at Northumbria University. His work doing community coaching in Gateshead for Newcastle United led to recognition as a Grassroots Coach of the Year in 2006 by Manchester United. That led to work with the Right to Dream Academy in Ghana and eventually gave him the contacts he needed to break into the Craig Bellamy Foundation in Sierra Leone. After university, a door opened to work in New York with the Red Bulls through an old contact. Initially, he was told the job would be at one of the club’s youth team soccer partners on Staten Island. But just one day after that offer came in, club officials phoned to say they had taken a closer look at his CV and wanted him to work with the pick of the club’s 9-14 year olds. It was during his time with the Red Bulls that his contacts in Ghana paid off. 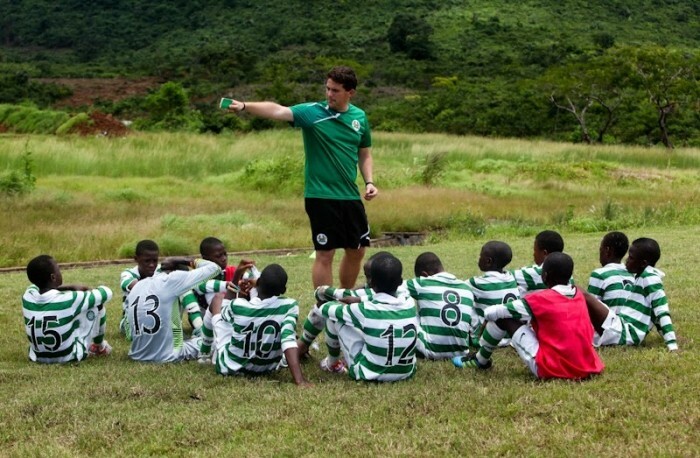 A call from a friend persuaded McKinstry to up sticks once more and move to the Craig Bellamy Foundation in Sierra Leone, where he would become technical director. 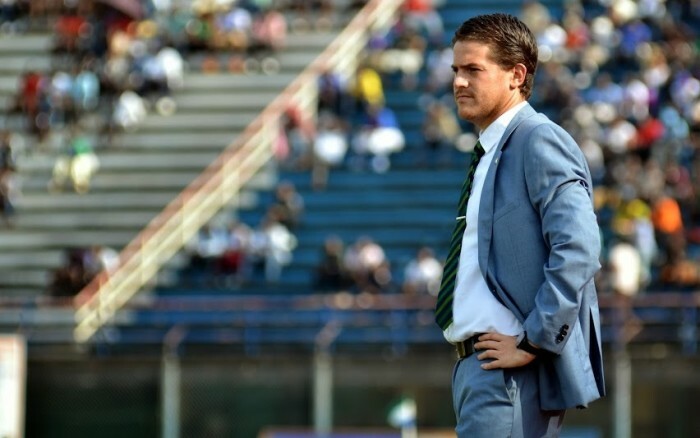 It was there that McKinstry secured the first of his international management posts, at the tender age of 27. It’s fair to say his time in charge of the Sierra Leone side was tumultuous. Taking over on a caretaker basis initially, McKinstry led the team to their highest ever placing in the FIFA world rankings. They broke into the top 50, ahead of his native Northern Ireland. The team went unbeaten for their first six games under his stewardship. However, just as the team’s fortunes were starting to pick up, the deadly Ebola virus broke out in the country. The disease had serious implications for the then-27-year-old, in his dual role as Sierra Leone head coach and that of technical director at the Craig Bellamy Foundation. He took the brave decision to continue his work there, despite offers of arrangements for him to leave the country. Leaving at that stage would have resulted in the kids being sent home to their families, a lot of whom lived in Ebola hotspots and danger zones. We basically went on a lockdown on site. Ebola’s a contact disease so our reasoning was that if you remove the contact, you remove the risk. The driver and myself would head out from the complex into Freetown every few weeks and collect school and food supplies and it was basically business as usual. From a footballing perspective, the Leone Stars were forced to uproot from their national stadium to play their “home” games thousands of miles away. The timing was critical, with key qualifiers against Ivory Coast and DR Congo being played without home advantage. The game against Ivory Coast was only given clearance by their government four days ahead of the tie. Sierra Leone lost both those games and McKinstry lost his job as a result. Ultimately I think we were tripped up just as we were getting up to full speed. The Ebola outbreak hurt Sierra Leone and so many of the West African nations on so many levels and football was one of those in Sierra Leone. It was my first opportunity to work with top class professionals at this level, so it was a steep learning curve. My own philosophy about the brand of football I want my teams to play remains unchanged, but I know what potholes too look out for along the way now. I think you try to go out and win in a way that gets the supporters off their seats, that gets the heart racing. I grew up watching the great Newcastle United team of the 90s, and that type of football has definitely influenced how I want my teams to play. We want to attack, but equally it’s about players being disciplined and knowing their role within the team. The next year ahead will be filled with challenges for the Lisburn man. Rwanda host the African Nations Championship next year, with work already being carried out on stadiums across the country. There are upcoming qualifiers for the African Cup of Nations in 2017, as well as international friendlies. His new side lost their first friendly, against Zambia, under his command, but that came just a week into his tenure. With two international jobs under his belt at the age of 29, it’s safe to say that things are very much looking up for Northern Irish man touched by wanderlust.